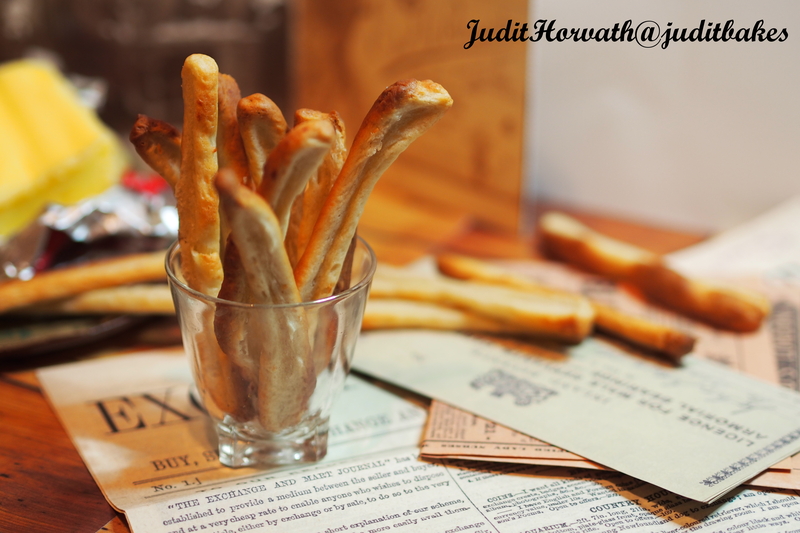 The Right End of the Stick: Crisp Soured Cream and Cheese Grissini | When Judit bakes...bread and better..
Grissini, the traditional Italian breadstick, originated in Torino. 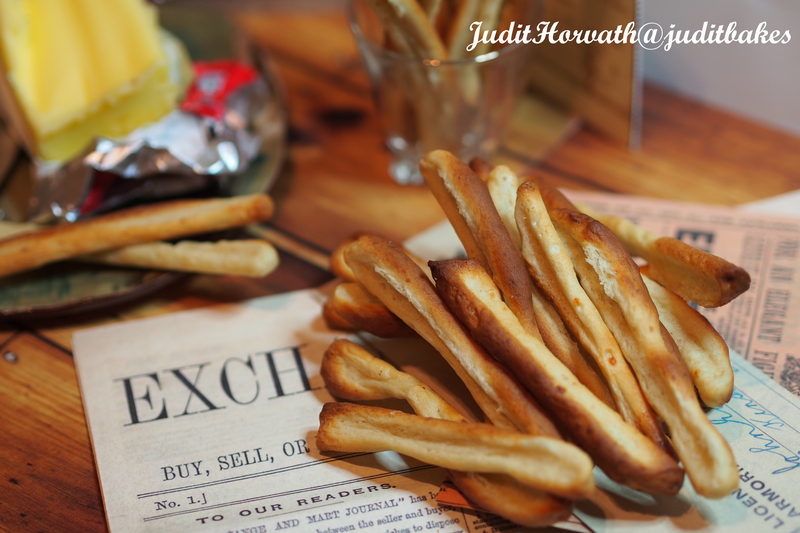 Historians reckon that these indulgent mini bread-bites were invented around the end of the 17th century (records indicate it was the year 1675) to cure the health problems of young Duke Vittorio Amedeo II of Savoy. Frail since birth, the duke had difficulty digesting most foods and Don Baldo di Lanzo, the court doctor, commissioned a baker, Antonio Brunero from Torino, to create something that the young duke could digest. Antonio decided to take a part of the dough of ghersa, the typical bread of Torino, and stretch it out into long, thin strips. 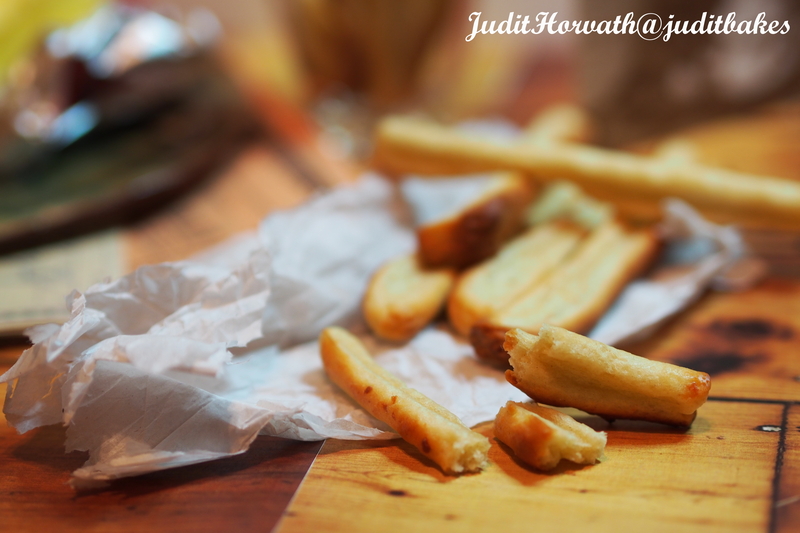 Once baked, the thin bread sticks were crisp and easy to digest. His inventive creation became a great success and slowly gained popularity in the whole of Italy. Some say that Napoleon Bonaparte was among the greatest fans of grissini. He founded a stagecoach service between Torino and Paris at the beginning of the 19th century, mostly dedicated to delivering him what he called les petits batons de Turin, “ little sticks of Turin”. In another historic record, in 1643, 32 years earlier, a Florentine abbot found a novelty bread “with a bizarre shape, that is a bread loaf an arm long and thin like dead bones” in a town outside of Turin. Going back further in time, a reference can be found to a special type of bread called pane barotellatus, barot which in the dialect of Piedmont means stick. Put yeast in the warm milk and let it froth up. Put the flour, salt in a bowl, rub in the butter and pour in the yeast mixture. Add cheese and mix to a soft, sticky dough. Cover and leave to rise for an hour. On an oiled or floured worktop, very lightly knead the dough (not to long). Cover and leave for another hour. Heat the oven to 160 degrees C . Without using flour, roll the dough, cut into strips and then roll each strip into a pencil-like stick. 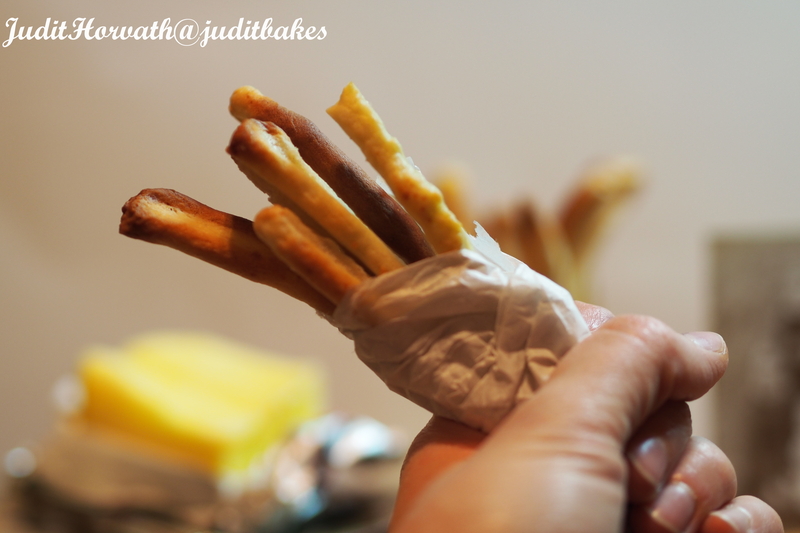 Lay the dough sticks on a baking tray lined with nonstick paper (or use a bread stick silicone pan) and bake for 35-40 minutes, until golden and crisp. Cool on a wire rack. 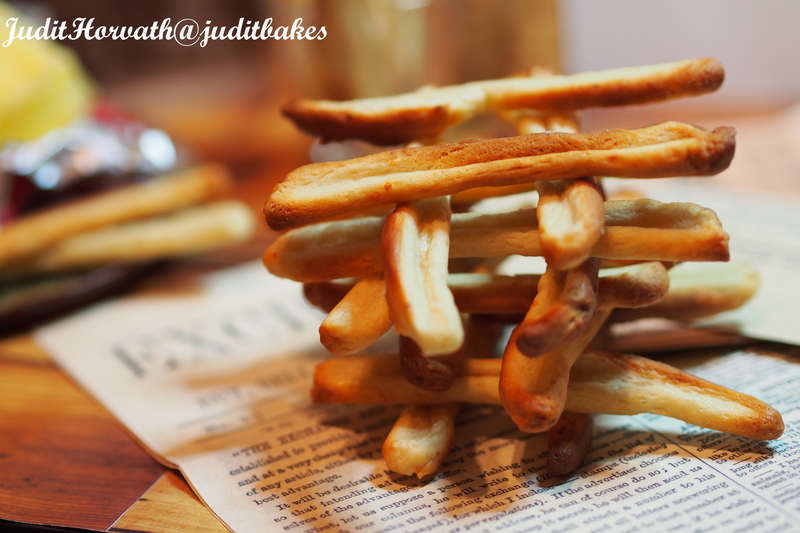 This entry was posted in Baked treats, Bread, Just Everything, Savoury bakes, Yeasted bread. Bookmark the permalink. Dear Randall, admittedly, I do not think I have ever met a man who did not like breadsticks. I think the various forms of this little savoury treat are proper lad snacks. I wish I could provide you with a selection to achieve you voting for them…;-) J.
Ha, ha…that is interesting, I’m a first 🙂 Would love to have the opportunity to try your selections. Someday you’ll hear a knock on your door and there will be a very hungry lad standing there 🙂 Cheers, and have a great week!